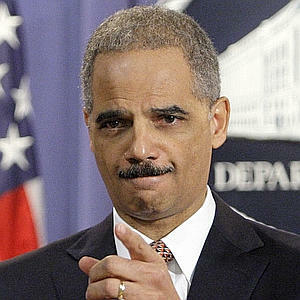 Federal taxpayer dollars wasted on another Eric Holder lawsuit in 3..2..1. Attorney General Eric Holder, noting that the Supreme Court ruling today did not give “a license to engage in racial profiling,” warned Arizona law enforcement officials that the Justice Department will “closely monitor” their efforts to check the immigration status of state residents. “We will closely monitor the impact of S.B. 1070 to ensure compliance with federal immigration law and with applicable civil rights laws, including ensuring that law enforcement agencies and others do not implement the law in a manner that has the purpose or effect of discriminating against the Latino or any other community,” Holder said in a statement on the ruling.